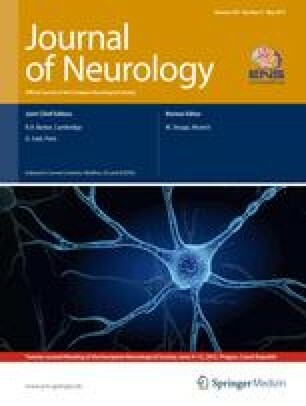 Functional magnetic resonance imaging (fMRI) of hand movements in amyotrophic lateral sclerosis (ALS) has repeatedly demonstrated increased activation in cortical and subcortical areas, whereas a single study has suggested decreased rather than increased activations for tongue movements in patients with bulbar involvement. This points to differences in the pathophysiology and may correspond to the different time-course of disease for patients with and without bulbar involvement. We, therefore, compared the cortical activity during movements of the tongue and right hand using fMRI to delineate the neurofunctional correlates of bulbar versus limb symptoms in 20 ALS patients (11 with bulbar signs) and age-matched controls. During vertical tongue movements, the cortical activation pattern in ALS patients without bulbar signs did not differ from the control group. However, presence of bulbar signs caused a significant decrease of cortical activation. An increased cortical activity during the hand movement in all ALS patients was evident, regardless of site of onset and presence of bulbar signs. Thus, two different patterns of cortical activation changes suggesting fundamental differences in the neurodegenerative process and subsequent reorganisation processes exist for limb and bulbar movements. TFM is supported by grants of the DFG (SFB 779 TP A5) and BMBF (01GW0551).